Watercolor painting is an ancient art. It started with prehistoric humans who painted the walls of caves they stayed in. They used mixtures of charcoal, ochre and other natural pigments as their painting mediums. Innovations such as the creation of paper, the improvements made on pigments and the cognizance of aesthetic methods contributed to making watercolor as a medium for fine art. The ancient Egyptians also used watercolor to paint scenes of their daily lives that adorned the walls of tombs and on an early type of paper, papyrus. The earliest use of watercolor as an art medium started in the Far East beginning with China, followed by Japan. In AD 105 paper was invented in China, which is about 1,000 years earlier before its production in Europe. For the Chinese and later the Japanese, painting and calligraphy are closely related, as both forms used water-based paints and inks, paper and brushes. In those days, silk was also used as a writing and painting medium. Compared to Western style of painting, the Far East had various traditions for painting. They expressed their feelings and tried to capture the inner spirit of whatever subject they are painting, instead of portraying the subject’s outward appearance. They placed great importance in handling and controlling the brush, placing each stroke with precision and speed. Around the 12th century, paper making in China advanced and the use of watercolor for decorative purposes reached Europe. One hundred years later and the artists in Europe were also mixing their own watercolor paints by grinding chalk and pigment for painting frescos. One of the finest examples of the early use of watercolor as a fine art medium was the painting on the ceiling of the Sistine Chapel. Later, watercolor became a medium that was able to convey striking and powerful images on paper. 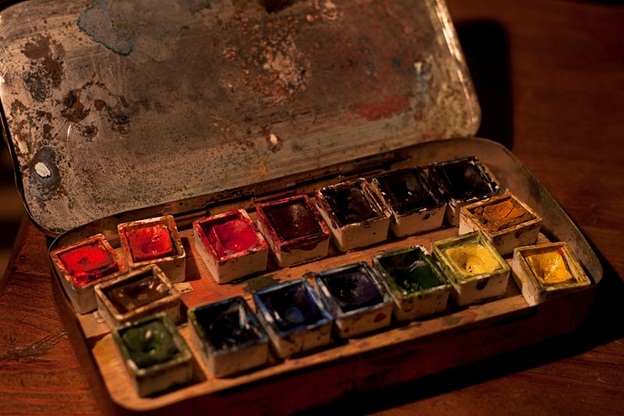 Watercolor’s use as a fine art medium was influenced by the availability of synthetic pigments and ready-made paints. German printmaker Albrecht Dürer was the one who developed the methods that improved the appearance of watercolors. Soon several artists realized the watercolors’ potential, and explored new techniques to heighten the transparent, luminous effects that could be achieved with the new medium. One English painter who realized the immense potential of watercolors was J.M.W. 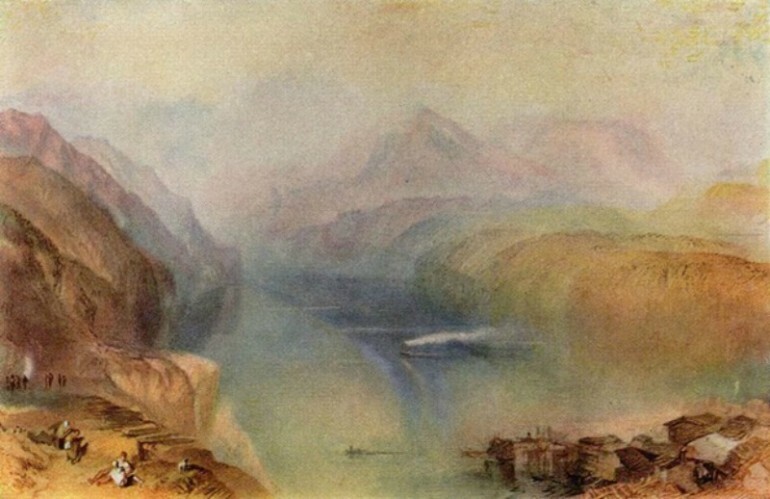 Turner, who experimented with the colors’ technical and expressive properties. In French, watercolor is known as aquarelle, and as a work of art, watercolor is a type of painting where water-soluble pigments are applied on paper. Most of the pigments are suspended in a binder such as gum Arabic. Watercolor is a classic painting technique. It was perfected during the 18th and 19th centuries in England. Basically, watercolor painting involves the application of a series of transparent washes. This technique allowed light to be reflected on the paper’s surface even though there might be several layers on color already, creating the unique glow inherent to watercolor work. The application of several washes are meant to increase the density and strength of the color and to transform the color of the layers that were previously applied, allowing the viewer to see the color mixture through their eyes. Several artists used watercolors exclusively for their works while others use it on occasion to serve a particular purpose. John James Audubon used watercolors to paint the birds of America. The seascapes of Maine was the favorite subject of Winslow Homer. He also painted landscapes around the Adirondacks and the Bahamas. Paul Cézanne had been known to use watercolor washes in overlapping techniques to give him very distinct tone and color. Even Vincent van Gogh, who was primarily known for using oil paints left behind more than 100 works in watercolor, using techniques he personally developed. Andrew Wyeth, Charles Burchfieuld, Georgia O’Keefe and Edward Hopper were also known to have used watercolor for their dramatic works of art. The medium, once mastered is quite flexible, which can provide vivid and rich tones, or manipulated to create soothing and soft artistic compositions.